Those who have already delved into investing or those financial planning to invest in any kind of market may have come across terminologies such as mutual funds and hedge funds. If you are fond of movies like “The Long Short” and “The Wolf of Wall Street” you will have definitely heard those terms being thrown around, usually accompanied by a bunch of things that most people who don’t happen to be investment bankers wouldn’t typically understand and that’s okay! Those sorts of things take years of deliberate studying to properly grasp. Today, however, we are going to take a closer look at hedge funds and mutual funds as well as jump into answering some frequently asked questions. How are Hedge Funds Different than Mutual Funds? They even differ in the characteristics of the people investing in one or the other. The SEC ensures that mutual funds strictly adhere to the laws. The directors of all mutual funds must be independent of the day to day management of the fund. All mutual funds must keep detailed books of their transactions and put in place various measures that safeguard their portfolios. Unlike mutual funds, hedge funds are not so heavily regulated. They don’t even have to register with the SEC. That is not to say that they are not subject to several regulations that safeguard them against fraud. Hedge fund managers have more or less the same fiduciary responsibilities to their investors just as do managers of other investment vehicles such as mutual funds. Q: What are the fees involved? A: Mutual funds: There are limits on just how much a manager can charge his/her investors. This limit is imposed by federal law. The fees and expenses are disclosed in great detail in a fee table that is right at the front of mutual fund prospectus. A: Hedge funds: There are no limits to how much a hedge fund manager can charge his/her investors for his/her services. Q: What do fund managers do? A: In both cases, the job of fund managers is to execute a consistent investment strategy that is geared towards making money for their investors. These strategies have pre-defined objectives and goals. Managers have to keep track of the markets and evaluate their portfolio as well as other securities and make informed decisions on the best way forward. Q: What are the differences in their leveraging practices? A: Thanks to the Investment Company Act, mutual funds have very strict regulations on leveraging or borrowing against their portfolios. The SEC insists that funds engaging in futures, forward contracts, short selling and options “cover” their positions and that greatly limits the leveraging abilities of mutual funds managers. A: As the name suggests, hedge funds greatly leverage and “Hedge” their positions based on the value of the fund’s portfolio. These funds were originally designed to help managers invest in equity securities, and most of the associated advisers are active traders of said securities. Q: What’s the difference between the pricing and liquidity practices of both mutual and hedge funds? A: Mutual funds must price their securities and value their portfolios daily. They are also required to provide their investors with comprehensive information regarding their investments promptly. Furthermore, federal law requires mutual funds to let their shareholders redeem their shares at any given time. A: There are no specific rules that govern pricing when it comes to hedge funds. It is very common for hedge fund investors to be unable to determine the specific value of their investments in a timely fashion. Q: What is the difference in investor characteristics between mutual fund investors and hedge fund investors? A: When it comes to investing in a mutual fund, there aren’t any special qualifications required except for the minimum investment amount required to open an account. In many cases, this minimum amount is $1,000 but could very well be lower depending on the mutual fund. After that, you can put in as much or as little as you can into the fund as a long-term investment and saving strategy. 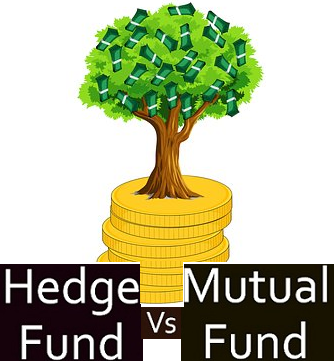 A: This is where mutual funds and hedge funds really differ. Most hedge funds will not even consider taking you on unless you can put down a minimum initial investment of $5 million. These limitations make hedge funds very exclusive to highly sophisticated and wealthy individuals. Q: Which one should you invest in? The fact that most hedge funds require a huge initial investment makes them virtual unavailable for most people. Typically, regular Joe’s can and often do invest in mutual funds for two very good reasons: they have a low initial investment requirement, and they are highly regulated making them somewhat safe when compared to hedge funds. Whichever way you choose to look at it, both types of investment vehicles have their own risks and rewards accordingly. For the most part, hedge funds often offer their investors much better returns mostly because they are more expensive and the fact that they are not so heavily regulated gives their managers some leeway to operate as they please. However, as most savvy investors will tell you, the best kind of investment is the type that minimizes your risk while maximizing your potential for reward. Will Bitcoin Hit $50,000 or $100,000 by 2018 End or Decline to $100? Americas Great Deals © 2019. All Rights Reserved.